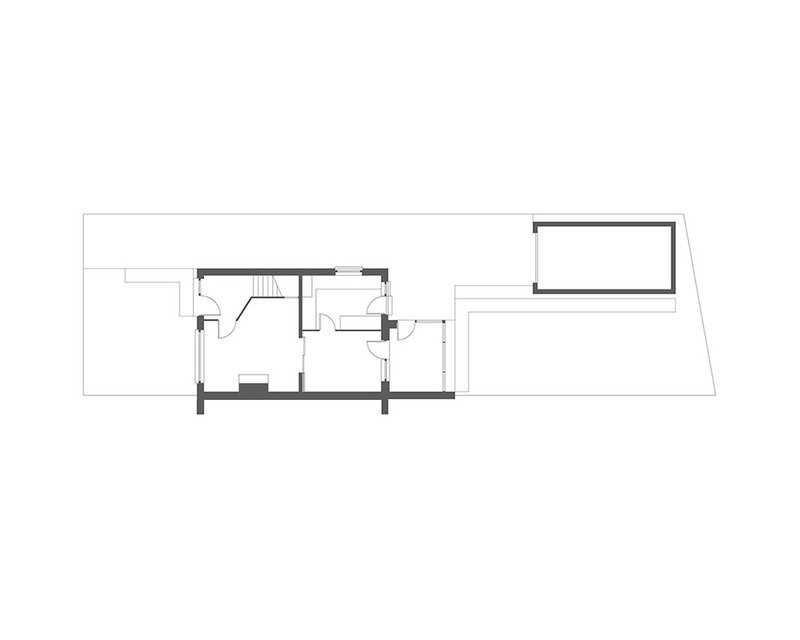 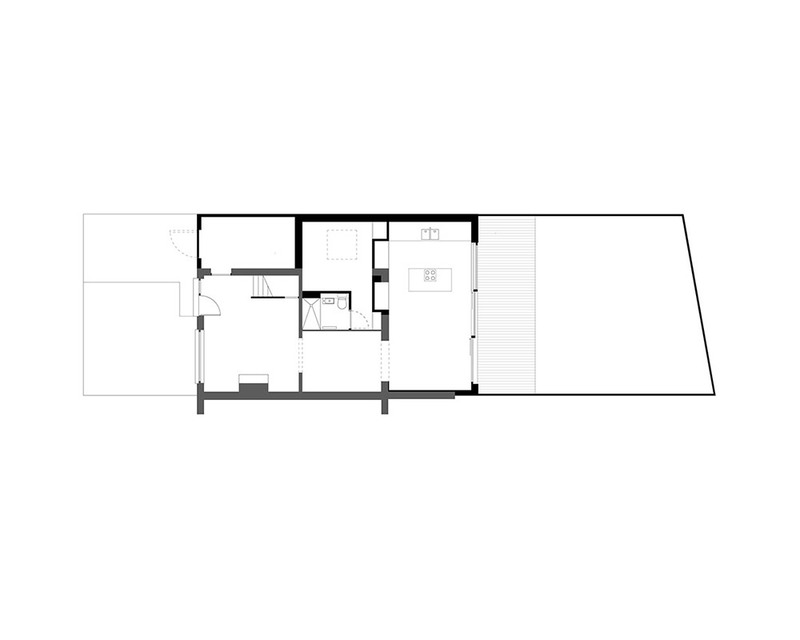 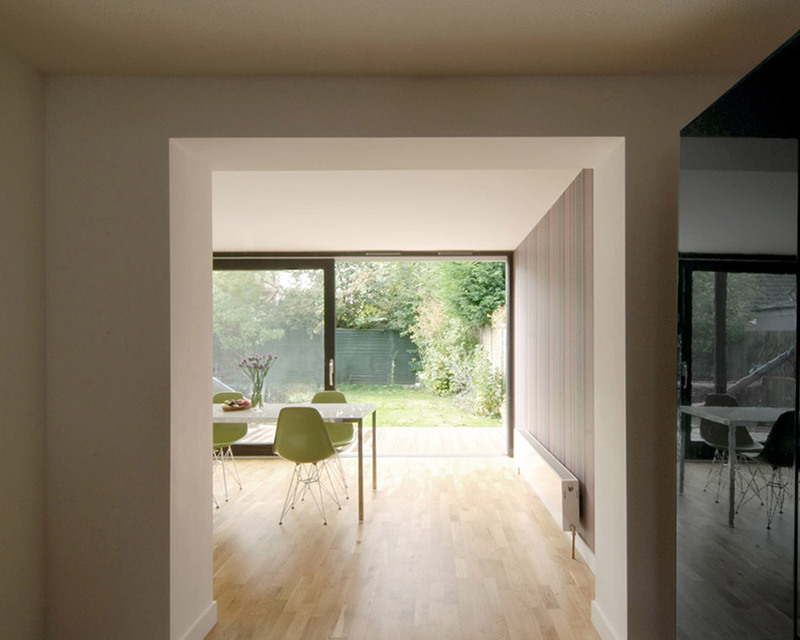 The enlargement and reorganisation of a modest 1970's suburban house was achieved with an economy of means to provide a generous sequence of interconnected living spaces, reorientating the house towards its garden. 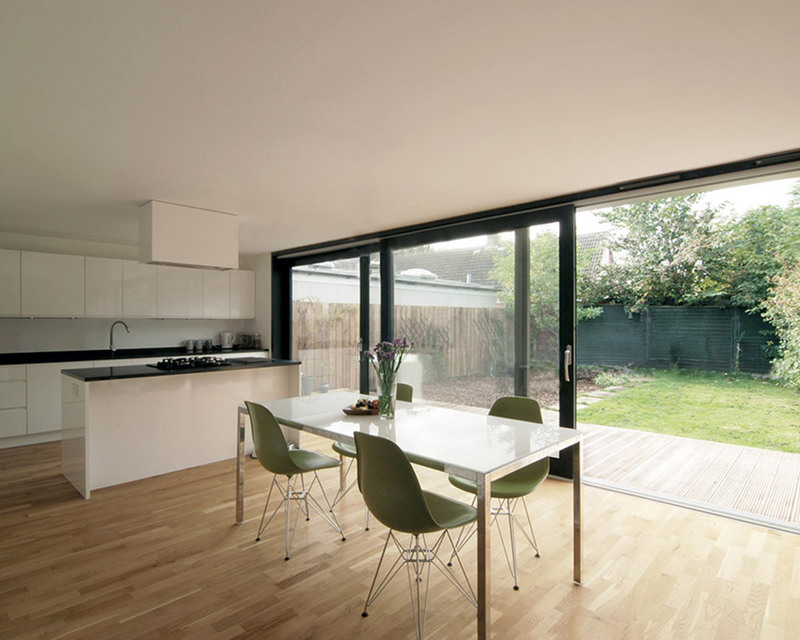 Detailing is reductive and crisp. 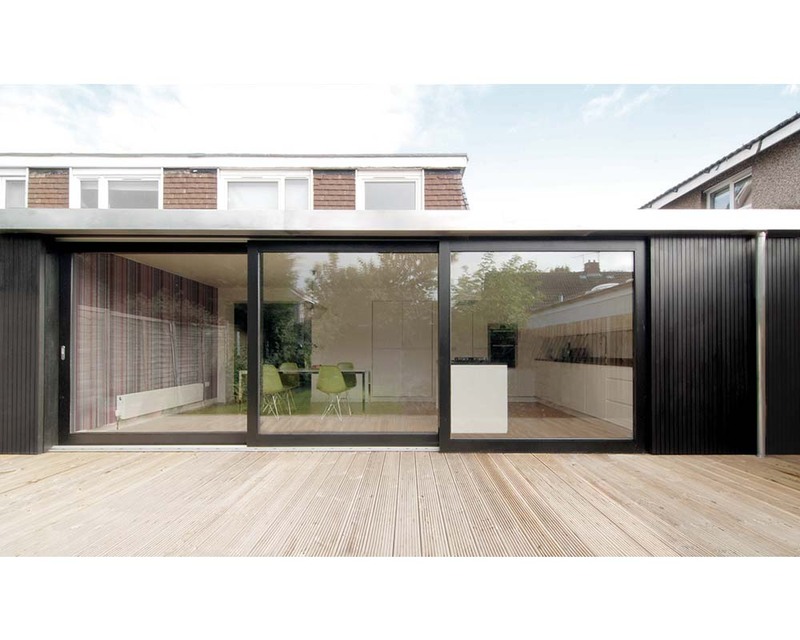 An industrial aluminium box gutter acts as an eaves fascia. 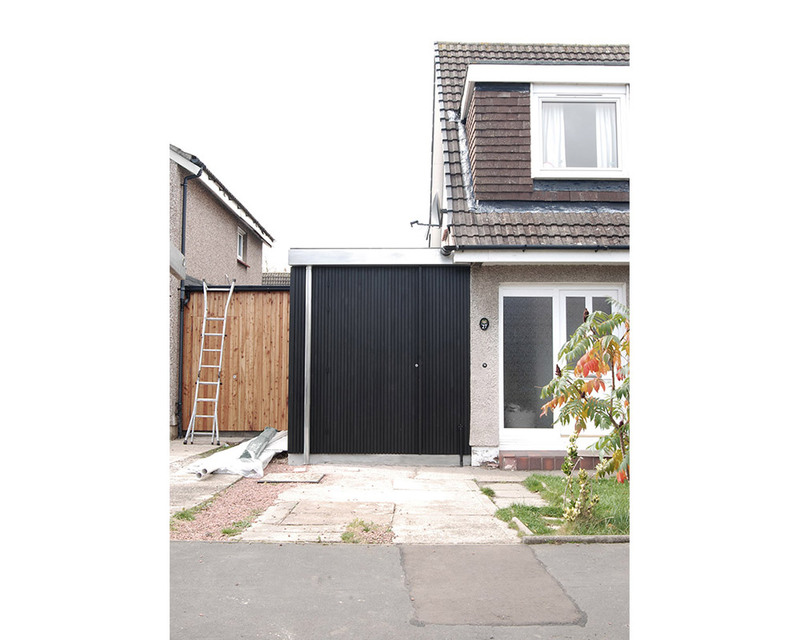 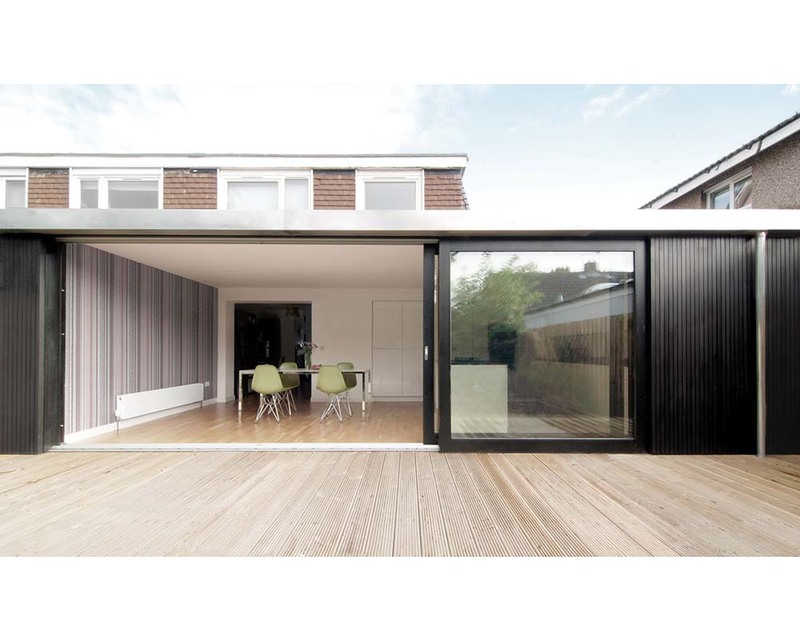 Joiner made sliding doors, open jointed timber cladding and other elements are unified by a black timber stain.